1.1 What Is A Hair Primer? 1.2 How Do You Use It? 1.3 What Does It Do For Your Hair? 1.4 Are There Various Types Of Hair Primers? I am sure a lot of you are wondering, ‘what on earth is a hair primer’? Well, I am here to put the wondering at rest and to provide some useful information on the subject and provide a 10 Best Hair Primers 2018 guide to help you select the best one for your hair care. I am also led to believe that you may have encountered the word primer in association with the job of painting – in this case, you need to prepare the walls of a house for painting and so you need to apply a primer before applying the actual paint. No, there will be no house painting primers on the 10 Best Hair Primers 2018 list! So what exactly is a hair primer? According to Vocabulary.com, the word ‘primer‘ is defined as: ‘A primer gets you ready for what comes next. You could use one kind of primer when you are learning to read, or another kind when you are preparing to paint a room. So, as simple as it sounds, a primer is simply a product that one uses to get something ready for another step in a series of processes. In this case, we are talking about hair care, so, we will be focussing on 10 Best Hair Primers 2018 products that can be used to get your hair ready for the next step in your hair routine. This brings us to another great question – how do we use it? It continues to be a simple process. Life is beautiful when it all comes together without any fluff! The more usual way to apply a primer is after cleansing although there are primers that you can use before cleansing as a pre-wash or pre-cleanse treatment. The usual application calls for the primer to be applied to damp and not dripping wet hair. After all, you do not want the product to be ‘dripping away’ before you even get a chance to benefit from it. In the case of a pre-wash primer, it is usual to be used in synergistic combination with a shampoo and conditioner in order to reap the full benefits of all the products working together. I will include one such primer in the 10 Best Hair Primers 2018 guide below. Like most, if not all things, you can find the pros and the cons to use or not use any product. It is all about the application and the actual product make-up (ingredients). it prepares the hair for heat styling – whether it is a blow dryer or flat iron or roller setting. 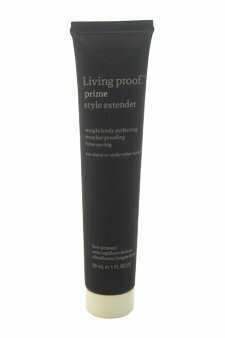 it protects the hair from the effects of the environment – humidity, dryness, wind. it creates a smooth base for your hair before you start using other hair styling products and tools. it creates a light, weightless, humidity-resistant shield between the hair strands and any hair appliance or hair product. helps to keep your hairstyle lasting longer. helps to minimize hair damage due to styling. it also increases the sheen of your hair. When ‘all is said and done’, it really is all about how you choose to care for your hair and the results you expect to see from your hair work. I sometimes use a hair primer because I know the good that it can do for my hair. And, in knowing this, I have compiled a 10 Best Hair Primers 2018 guide to help you along the way. Are There Various Types Of Hair Primers? It all depends on your choice. I have used three of the four possible forms. If I had to make a choice, I would say liquid followed by the spray. However, the most important determinant is the effect that it has on your hair. Of course, because there are so many options to choose from it has to be a trial and error moment for you to find that ‘perfect match’ for your hair. In any event, here are 10 Best Hair Primers 2018 that should give you a great place to start! Based on the feedback of this product, I am inclined to believe that it is doing the job it has set out to do! I think it would be an asset in your hair care arsenal of products and a great product to be on the 10 Best Hair Primers 2018 list! John Frieda is a very well-known hair care brand whose reputation is one that the brand honors. It has been around for many years. I have used John Frieda’s products and loved the results – especially while I was a ‘relaxed-haired’ girl. And without any bias, I think this primer belongs on this 10 Best Hair Primers 2018 guide! 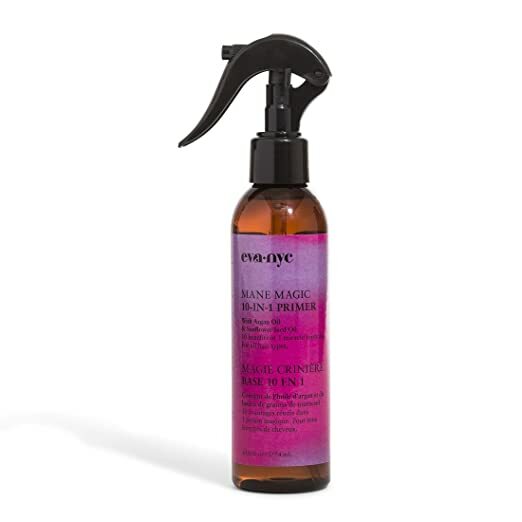 is to combat frizz and increasing its resistance with consistent use. is formulated with its own Frizz Immunity Complex which works to improve the hair texture, increase manageability and in time, reduce frizz. it forms a protective barrier which keeps out water and humidity. allows more flexibility for curly, wavy, or straight hairstyles – with or without using heat appliances. makes your hair feel smooth and easier to manage. has a non-silicone product base. has coconut oil as one of the components of its frizz immunity complex. As a tested and tried user of John Frieda products, I would see no reason why using this primer would not leave your hair with the protection it needs to continue with your next styling step of your hair care process! A fairly new hair care brand, Amika was created by industry Outsiders in Williamsburg, Brooklyn in 2007 and is on the climb to be noticed by all who have great hair care in mind. They focus on product ingredients and synergy. Their packaging is even fun and eclectic. avocado oil – a source of nourishment and soft hair. sea buckthorn berry aka obliphica – which helps to prevent hair loss and soothes the scalp while helping with hair growth. panthenol aka pro-vitamin B5 – helps to restore the elasticity of your hair and helps prevent breakage. folic acid – necessary for healthy hair growth. tocopheryl – a type of Vitamin E that penetrates your hair and acts as an antioxidant. omega 7 – which is found in the sea buckthorn berry (as much as 40%) and helps to increase collagen production for your hair health. color safe for Brazilian-treated and Keratin-treated hair. Geranium, Lavender, and Chamomile Extracts which help to moisturize and hydrate your hair as well as improve hair health. Green Tea Extract which strengthens and nourishes the hair and also helping in the prevention of split ends as well as environmental damage. Hydrolyzed Wheat Protein which conditions, voluminizes, rejuvenates damaged hair. Pro-Vitamin B5 and other conditioning agents which help to soften, moisturize and strengthen your hair, helping to make your hair more manageable. Cetrimonium Chloride which provides conditioning and antistatic properties. Multi-layered UV Protection System which helps to deliver long-lasting UV protection and environmental effects on your hair. I think it would make a great fit for any hair that needs a wee bit more TLC. which are both helpful in instantly repairing your hair and strengthening it. The R+Co hair brand is composed of a group of hairstylists who have joined forces to produce a product line which offers immediate results. This brand also received the Women’s Health June 2016 award. Without a doubt, they have the client’s hair care in mind. It is also: gluten-free, vegan, and vegetarian. Pequi Fruit Oil – which helps to smooth the hair cuticle, increase shine and reduce frizz. Shea Butter – which is a well-known moisturizing butter to moisturize, soften and seal. protection from the sun’s UV rays. With all the functionality of a 10-in-1 product, Eva NYC’s hair primer will indeed leave your hair feeling on top of the world, and so will you! ‘Octamethylcyclotetrasiloxane, Decamethylcyclopcntasiloxane, Trimethylsiloxysilicate, Argania Spinosa (Argan) Kernel Oil, Helianthus Annuus (Sunflower) Seed Oil, Fragrance/Parfum, Limonene, Butylphenyl Methylpropional, Hydroxycitronellal, Hydroxyisohexyl 3-Cyclohexene Carboxaldehyde’. 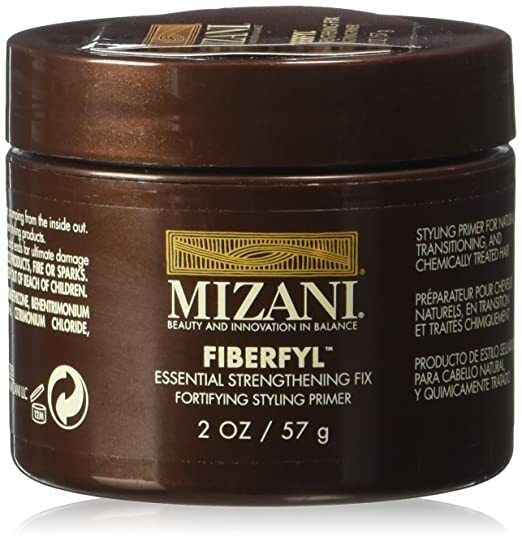 Mizani is a very old name in hair care. I started using MIzani when I was a relaxed girl in the late 90’s – yes, it has been around for quite a while. Its hair brand is geared towards the African American hair market and does its best to use technology and the best ingredients to make the best hair products. Helps to increase the strength of your hair. Penetrates the hair follicle as a liquid and then becomes a flexible solid that fills into the weak spots without hardening, thus helping to make the follicle stronger. It is recommended to use the Mizani Moisturfusion Shampoo and Conditioner with this primer in order to benefit from the synergistic working of all the products. And last but by no means least on the 10 Best Hair Primers 2018 list is the Nexxus Color Assure Primer. As I mentioned above, sometimes there are primers that you can use before cleansing your hair. This is considered a pre-treat type of shampoo. Nexxus is also a very well-known hair care brand that offers wonderful hair products to care for your hair health. Even though it is geared towards color treated hair, it can still be used for normal hair. The whole idea behind this primer or pre-cleanse treatment is that it ‘creates a shield that helps protect color by repelling water from your color-treated hair’. It is recommended to use the Nexxus Color Assure Shampoo and Conditioner , to produce a synergy between the products. And as ‘icing on the cake’, to help heighten your hair’s sheen, use the Nexxus Color Assure Glossing Tonic as a bonus! Choosing any hair care product can be a challenge – especially in our world today where there are so many options to choose from. Naturally, the only way you will find the proverbial ‘needle in a haystack’, is by trying a few and I hope this list of 10 Best Hair Primers 2018 will be helpful. I always suggest that you start off with a sample if you can get it, and if not, then a small bottle. I use a hair primer sometimes, however, I use it whenever I will be doing any kind of heat treatment on my hair such as indirect heat appliances like a hooded hair dryer or maybe while using a hand-held blow dryer on a low or cool setting. It is imperative that you minimize the potential damage that ANY heat styling tool can do to your hair – whether the heat being applied is direct or indirect. I hope this 10 Best Hair Primers 2018 article has provided some useful information to help you on your hair journey. I would love to hear your experience. Thanks for stopping by again. I graciously accept your thanks. I am so happy that the information you find on my site is indeed of value. This helps to point me in the right direction – thanks! Hi Michelle, With so many options out there, it is hard to choose what will work best. 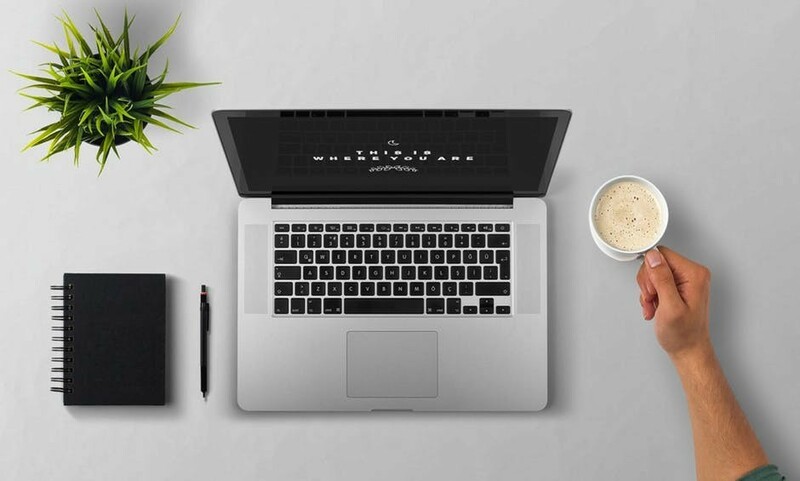 I’m betting you have good answers, based on all the great information on your blog! Thanks for visiting. Thanks for your kind words. Hmmm…this could be interesting. The first thing I would encourage you to do is to do more frequent deep conditioning. This is one way to ensure that the moisture level/balance of your scalp and hair are in sync. This should help to reduce frizz. I also think that maybe you should even try using some essential oils along with your deep-conditioning. The oils will help the frizz as well and add sheen to your curls. I hope this will help you in some way. Be sure and let me know if I can help more. Thanks for the detailed post and the recommendations are of wide range which is giving lot of options. You post is full of valuable information and your suggestions are great. Thanks a lot! Hello there Paul, I am glad that you found the information useful. Stop by any time. All the best.